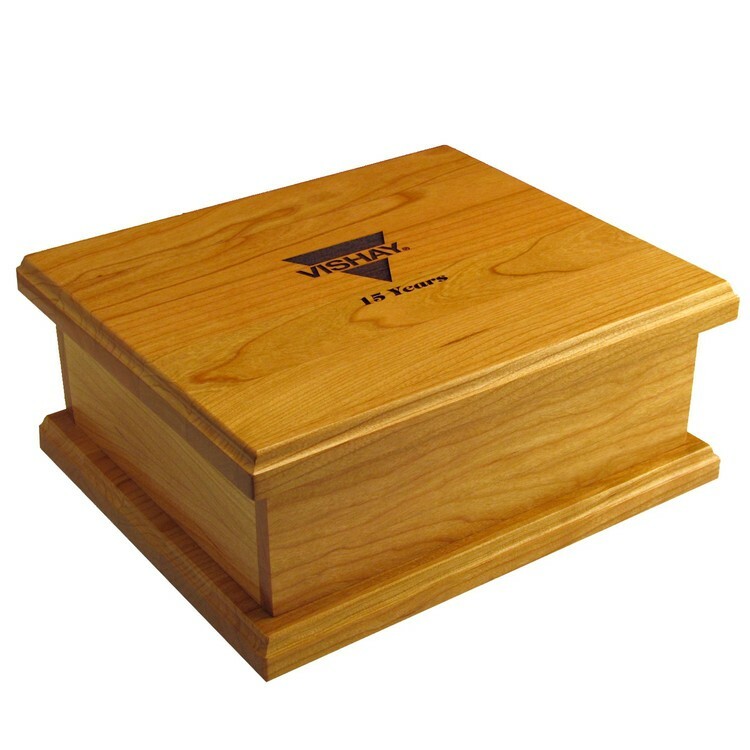 This solid hardwood jewelry box will proudly present keepsakes and make your name look as good as your jewelry. Your logo, along with a padded velvet interior, and a beautiful brass hinge provides perfect function with elegant form. 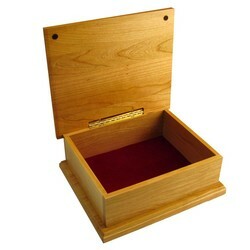 Shown here is genuine cherry, but you can also select any of our standard finishes. 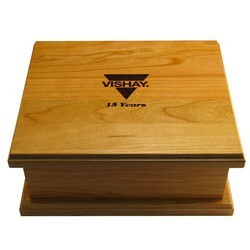 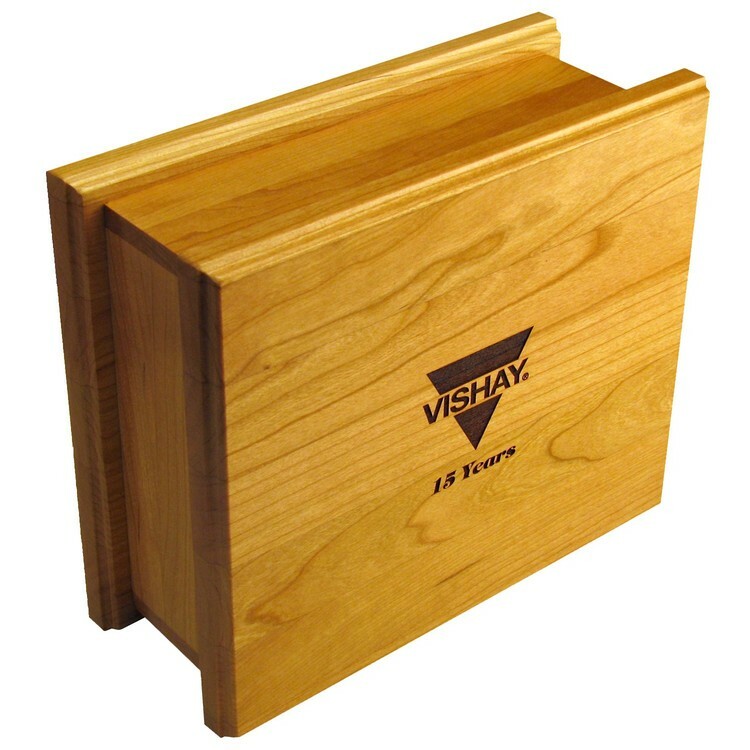 10.5" x 9" x 4.25"
Price includes a one position laser engraving, flocked insert and box.